William H. JONES [Parents] was born in 1790 in , Laurens, South Carolina. He died in Aft 1820 & Bef 31 Oct 1829 in , , Kentucky. William married Betsy GRAY on 21 Feb 1809 in , Christian, Kentucky. Betsy GRAY was born about 1792 in , , Usa. Betsy married William H. JONES on 21 Feb 1809 in , Christian, Kentucky. Nancy Ann JONES was born about 1812. She died on 21 Jan 1882. Hall SIMS [Parents] was born on 25 Apr 1795 in 96 Dist, Greenville, South Carolina. He died on 1 Mar 1887 in Nevins, Elbridge Twp, Edgar, Illinois. He was buried on 4 Mar 1887 in Sims Cemetery, , Edgar, Illinois. Hall married Anna "Annie" JONES on 27 Jun 1813 in , Christian, Kentucky. Anna "Annie" JONES [Parents] was born in 1792 in , Greenville, South Carolina. She died on 1 Apr 1846 in Paris, Edgar, Illinois. She was buried in Sims Cemetery, , Edgar County, Illinois. Anna married Hall SIMS on 27 Jun 1813 in , Christian, Kentucky. M i William Thomas SIMS "Sr" was born on 23 Mar 1814. He died on 26 Apr 1890. F ii Elizabeth Ann SIMS was born on 22 Nov 1815. She died on 25 Aug 1886. F iii Rebecca SIMS was born on 23 Oct 1817. She died on 11 Apr 1904. F iv Cynthia Anne Jane SIMS was born on 27 Jan 1820. She died on 8 Jul 1859. M v James M. SIMS was born on 11 Apr 1821. He died on 11 Dec 1895. M vi John P. SIMS was born on 19 Aug 1824. He died on 3 Mar 1876. F vii Nancy L. SIMS was born on 7 Apr 1826. She died in 1900. F viii Minerva SIMS was born on 29 Aug 1828. She died on 16 Jun 1916. M ix Franklin A. "Frank" SIMS was born in Dec 1830. He died in 1900/1910. Jane SIMS was born in 1831 in , Edgar, Illinois. M xi George Washington SIMS was born on 31 Oct 1832. He died on 27 Oct 1897. F xii Mary A. SIMS was born on 25 Dec 1834. She died on 11 Dec 1918. Demetrius SIMS was born on 22 Oct 1838 in , Monroe, Kentucky. He died on 10 Apr 1918 in Paris, Edgar, Illinois. Hall SIMS [Parents] was born on 25 Apr 1795 in 96 Dist, Greenville, South Carolina. He died on 1 Mar 1887 in Nevins, Elbridge Twp, Edgar, Illinois. He was buried on 4 Mar 1887 in Sims Cemetery, , Edgar, Illinois. Hall married Jane Morrison KIMBROUGH on 21 Mar 1847. Jane Morrison KIMBROUGH was born on 5 Oct 1801 in , Hardin, Kentucky. She died on 3 Jun 1875 in , Edgar, Illinois. She was buried in Sims Cemetery, , Edgar, Illinois. Jane married Hall SIMS on 21 Mar 1847. William SIMS [Parents] was born in 1773 in , Ohio, Virginia. He died on 2 Jul 1856 in , Monroe, Kentucky. He was buried in , , Kentucky. William married Sarah Jane HALL in 1793. Sarah Jane HALL [Parents] was born in 1772 in , , South Carolina. She died in 1850 in , Monroe, Kentucky. Sarah married William SIMS in 1793. M i John SIMS was born about 1794. M ii Hall SIMS was born on 25 Apr 1795. He died on 1 Mar 1887. F iii Anna SIMS was born on 1 Mar 1799. She died on 14 Aug 1847. F iv Cynthia SIMS was born about 1800. Judith SIMS was born in 1803 in , , North Carolina. F vi Rebecca SIMS was born about 1804. William SIMS was born about 1806. M viii James C. SIMS was born on 9 Jul 1807. He died on 29 Jul 1885. Samuel BRIMBERRY [Parents] was born in 1785 in Stoney Creek, Presently Alamance, North Carolina. He died on 11 Oct 1836 in Melrose, Nacogdoches, Texas. He was buried in Oct 1836 in Brimberry Family Cemetery, Melrose, Texas. Samuel married Mary Elizabeth JONES on 18 Jun 1816 in , Craword, Illinois. Mary Elizabeth JONES [Parents] was born in 1794 in , Laurens, South Carolina. She died on 30 Dec 1862 in Cove Springs or Melrose, Nacogdoches, Texas. She was buried in Brimberry Family Cemetery, Melrose, Nacogdoches, Texas. Mary married Samuel BRIMBERRY on 18 Jun 1816 in , Craword, Illinois. F i Eliza BRIMBERRY was born in 1817. She died in Mar 1854. F ii Louisa BRIMBERRY was born in 1819. She died on 20 Mar 1856. M iii John Newton BRIMBERRY was born in 1821. He died in 1855. F iv Rebecca Jane BRIMBERRY was born in 1822. She died in Oct 1853. M v William Anderson BRIMBERRY was born on 17 Feb 1823. He died on 10 Jul 1894. F vi Elizabeth Jane BRIMBERRY was born in 1824. She died in 1862. F vii Mary Ann BRIMBERRY was born on 27 Mar 1827. She died in Oct 1889. Joseph Patterson JONES [Parents] was born in 1798 in , Edgar, Illinois. He died on 6 Oct 1838 in Battle Creek, Navaroo, Texas. He was buried in Oct 1838 in Battle Creek Cemetery, Battle Creek, Navaroo, Texas. Joseph married Sarah "Sally" BRIMBERRY on 2 Jun 1819 in , Crawford, Illinois. Sarah "Sally" BRIMBERRY [Parents] was born on 12 Sep 1799 in , Bourbon, Kentucky. She died on 12 Sep 1861 in , Milam, Texas. She was buried in Sep 1861 in Little River Baptist Church Cemetery, Jones Prairie, Milam, Texas. Sarah married Joseph Patterson JONES on 2 Jun 1819 in , Crawford, Illinois. M i James A. JONES was born on 24 Oct 1821. He died on 29 Mar 1875. F ii Rosetta "Rose" JONES was born in 1822. She died on 1 Sep 1839. F iii Juliett E. "Julia" JONES was born on 3 Jun 1823. She died on 6 Sep 1873. F iv Elizabeth Jane JONES was born in 1824. F v Mary "Polly" JONES was born on 20 Jun 1828. She died on 27 Oct 1892. F vi Nancy Caroline JONES was born on 2 Jun 1830. She died on 10 Apr 1907. F vii Martha A. "Patsy" JONES was born about 1833. M viii Edward Frank JONES was born in Dec 1835. He died on 16 Nov 1936. Morgan Samuel MORGAN [Parents] was born on 1 Jul 1803 in , Vermilion, Illinois. He died on 7 Dec 1839 in , Panola, Texas. Morgan married Elizabeth "Betsy" JONES on 24 Jan 1826 in Edgar, Vermillion, Illinois. Elizabeth "Betsy" JONES [Parents] was born in 1799 in , Christian, Kentucky. 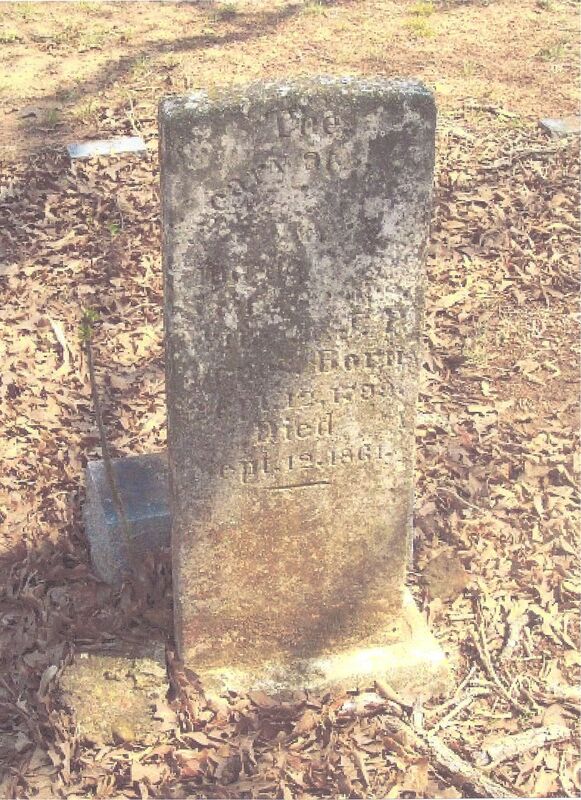 She died in 27 Jun 1857 or After 1862 in Probably, , Panola, Texas. She was buried in Probably Williams Cemtery West of Fair Play, Panola, Texas. Elizabeth married Morgan Samuel MORGAN on 24 Jan 1826 in Edgar, Vermillion, Illinois. M i William Dinsmore MORGAN was born in 1828. He died in Aug 1888. F ii Nancy MORGAN was born in 1828. She died after 1880. F iii Martha Ann MORGAN was born in 1834. She died in 1874. Mary MORGAN was born in 1837 in , Edgar, Illinois. M v Thomas P. MORGAN was born in 1840. He died in Mar 1862. Morgan Samuel MORGAN [Parents] was born on 1 Jul 1803 in , Vermilion, Illinois. He died on 7 Dec 1839 in , Panola, Texas. Morgan married Susanna "Susan" MARTIN on 18 Jan 1824. Susanna "Susan" MARTIN was born in 1769 in , Monongalia, West Virginia. She died before 1870. Susanna married Morgan Samuel MORGAN on 18 Jan 1824. F i Drusilla A. MORGAN was born on 25 Sep 1826. She died in 1925. Achilles MORGAN [Parents] was born on 29 Jun 1772 in Morgantown, Monongalia, Virginia. He died on 20 Jan 1860 in Home of Mr. Coburn, Vermillion, Illinois. Achilles married Susannah SCOTT in 1791 in , Monongalia, West Virginia. Susannah SCOTT was born on 28 Sep 1772 in , Monongalia, West Virginia. She died on 16 Sep 1851 in Danville, Vermillion, Illinois. She was buried on 19 Sep 1851 in , Vermillion, Illinois. Susannah married Achilles MORGAN in 1791 in , Monongalia, West Virginia. Rawley MORGAN was born on 9 Jan 1792 in , Monongalia, West Virginia. He died in Possibly, Died Young. F ii Mary Ann MORGAN was born on 13 Oct 1795. She died on 2 Oct 1877. F iii Cynthia MORGAN was born on 17 Dec 1797. She died on 28 Aug 1882. Zadock MORGAN was born on 16 Nov 1799 in , Monongalia, West Virginia. He died in Probably, Died Young. F v Drusilla MORGAN was born on 2 Apr 1801. She died on 3 Sep 1884. M vi Morgan Samuel MORGAN was born on 1 Jul 1803. He died on 7 Dec 1839. M vii Levi MORGAN "Sr" was born on 19 Jan 1806. He died in 1860. M viii Thomas Scott MORGAN was born on 3 Jul 1808. He died on 28 Jul 1869. Nancy MORGAN was born on 21 Sep 1812 in , Monongalia, West Virginia. She died in Probably, Died Young. F x Elizabeth MORGAN was born on 1 Jan 1813. Dinsmore MORGAN was born on 20 Apr 1818 in , Monongalia, West Virginia. Mack HISLIP was born on 19 Apr 1898 in , , Arkansas. He died in Nov 1975 in Newport, Jackson, Arkansas. Mack married Sallie S. HAND on 30 Jun 1914 in , Baxter, Arkansas. The marriage ended in divorce. Sallie S. HAND [Parents] was born on 3 Mar 1895 in Union Twp, Baxter, Arkansas. She died on 21 Nov 1973 in , Baxter, Arkansas. She was buried in Halls Chapel Cemetery, Hand, Baxter, Arkansas. Sallie married Mack HISLIP on 30 Jun 1914 in , Baxter, Arkansas. The marriage ended in divorce.